MASP was founded in 1947 by Assis Chateaubriand, who appointed the Italian curator Pietro Maria Bardi as the first director. They acquired a major collection of European art by 1960, including works by Titian, Rembrandt, Goya, Monet, van Gogh, and Picasso. The museum’s permanent collection is the most significant in Latin America and the Southern Hemisphere, with more than 8,000 works that include European masterpieces as well as Greek and Roman antiquities, African, Asian, Brazilian, and Pre-Columbian art. 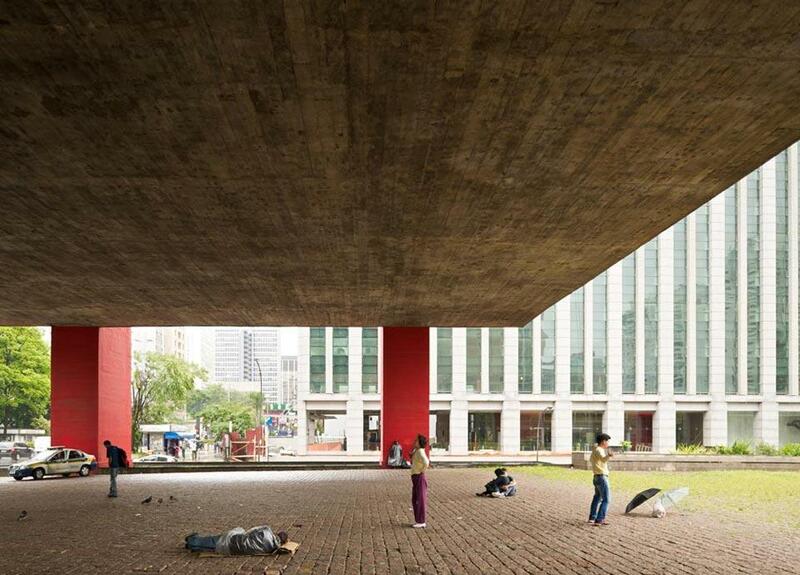 Pietro Maria Bardi was director of MASP for nearly half a century until 1996, but his contributions are less well-known than those of his wife, the architect Lina Bo Bardi. She was only 32 years old in 1947 when she designed the conversion of one of Chateaubriand’s office buildings into a temporary museum. During the next decade she became a Brazilian citizen, co-founded a magazine, joined the faculty at the Universidade de São Paulo, and designed the famous Casa de Vidro. 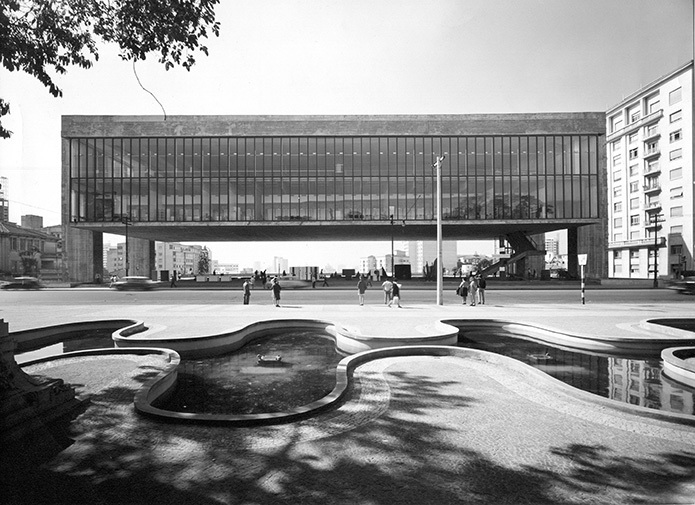 In 1957 work began for a new museum building on Avenida Paulista, São Paulo’s main financial and cultural center. The chosen site was an important public space and came with the restriction that no building could block its panoramic views. Lina Bo Bardi’s solution was to split the building into two, with one part constructed into the hillside and the other part raised up 26 feet above the ground. 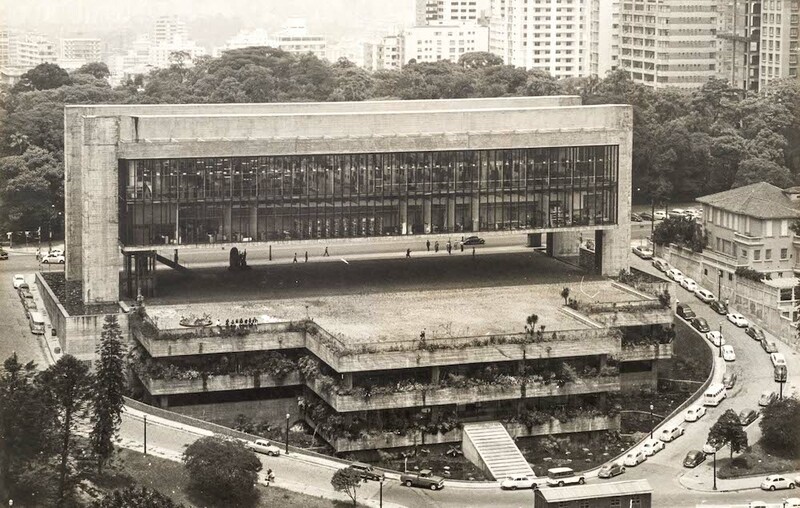 The project was completed in 1968 with a Brutalist aesthetic that is a top example of Brazilian modern architecture. MASP totals over 110,000 square feet. The lower building contains a library, auditorium, restaurant, and operational spaces. 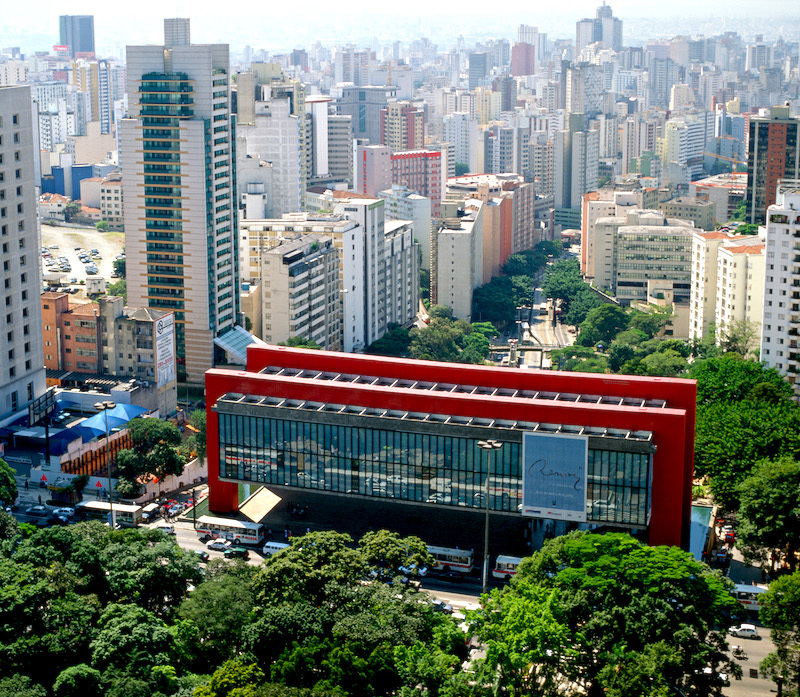 Its roof is at street level with Avenida Paulista, forming a public plaza with views onto the city. The upper building hovers 26 feet above the plaza, with its entire mass suspended on four pillars and two concrete beams that span 243 feet. The box of the upper building contains two floors of galleries with glass walls, open floor plans, and a bespoke modern installation design. 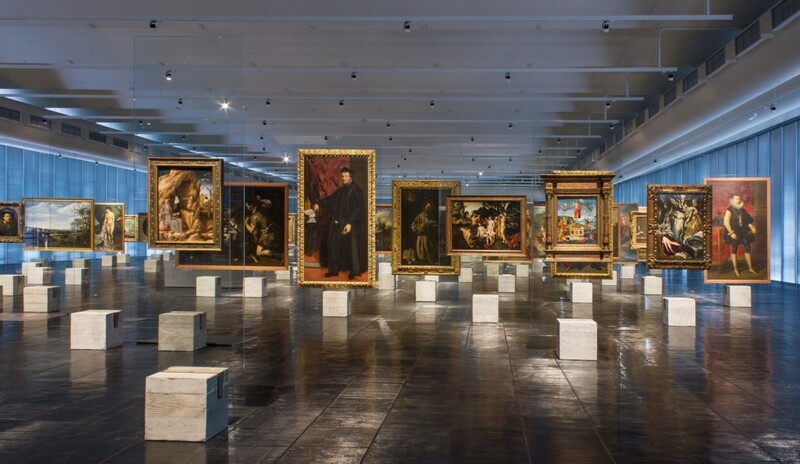 Rather than walls, which would interrupt the free span of the galleries, paintings are installed on glass panels and appear to float throughout the space. In Bo Bardi’s original design, paintings were suspended on tempered glass set in concrete bases, with labels on the reverse of each panel. 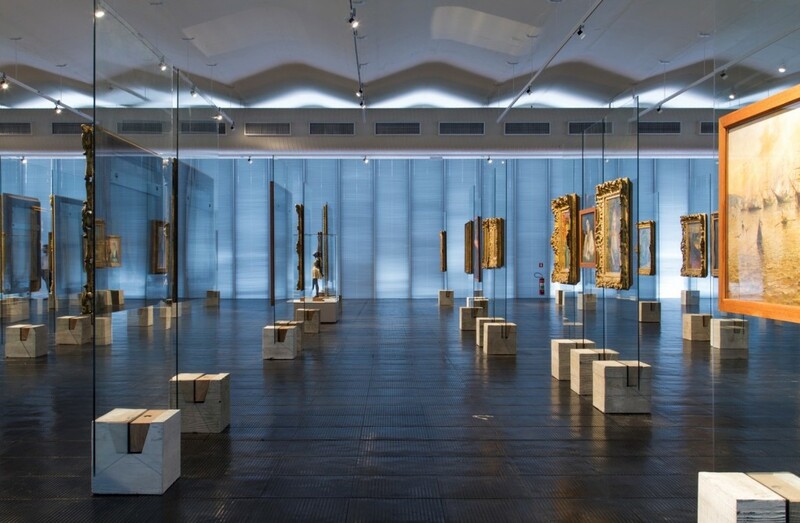 The glass easels were complementary to the architecture, but more significantly, disrupted the traditional linear, chronological, and hierarchical design of museums in favor of visitors choosing their own paths. It was avant-garde art historical decolonization. 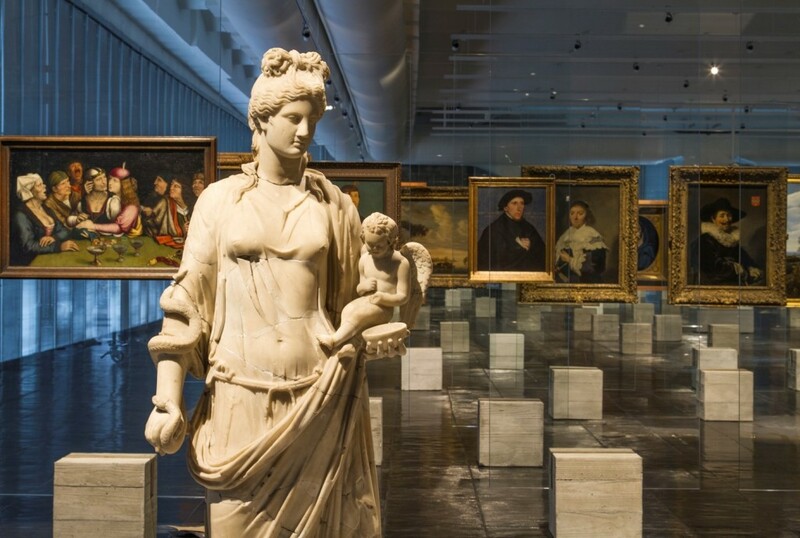 These original installations were removed in 1996, but have been restored under the leadership of MASP artistic director Adriano Pedrosa. 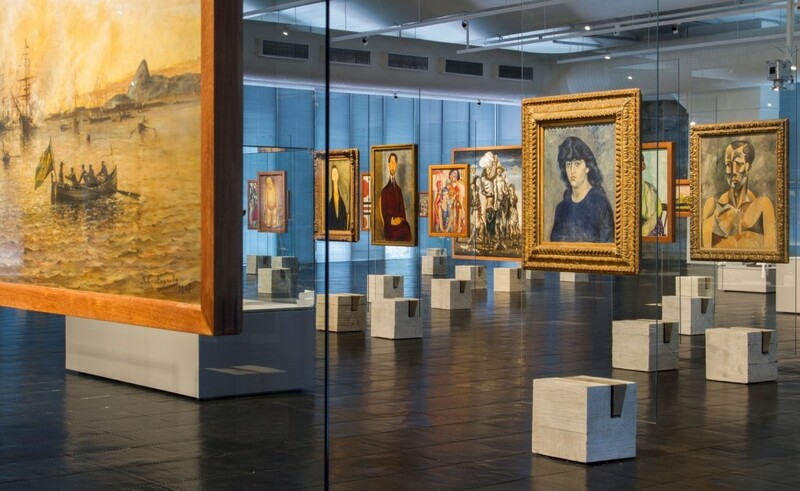 The museum’s curatorial team and METRO Arquitetos researched and reconstructed more than 100 of Bo Bardi’s easels, with some updated engineering. The re-installation opened in December 2015 with 117 artworks from the permanent collection. 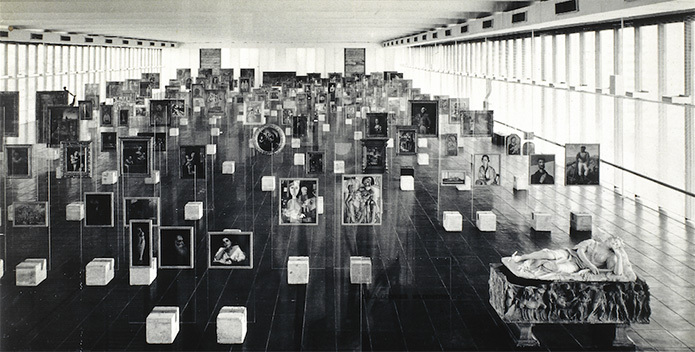 Lina Bo Bardi designed a number of other cultural projects in Brazil including the restoration of the Solar do Unhao in Salvador, the Teatro Oficina in São Paulo, and the SESC Pompéia. 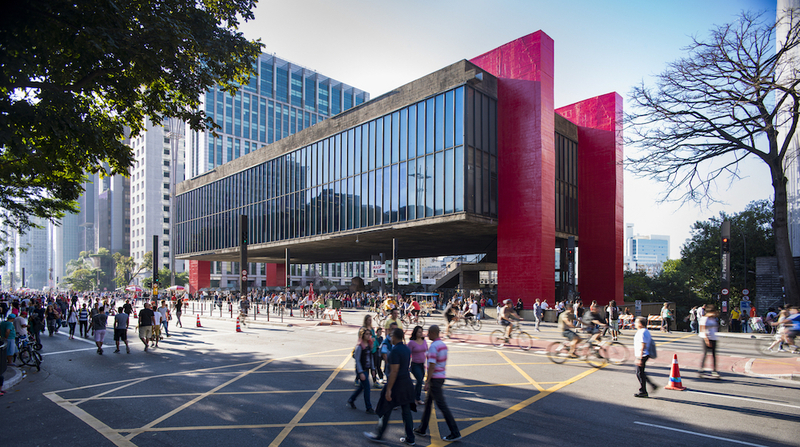 MASP, beyond its modern aesthetics, achieves social and cultural benefits with its plaza as a popular gathering place for Paulistanos and its galleries as a new model for museum exhibition design. Before MASP, the Getty Foundation awarded a grant to Bo Bardi’s Casa de Vidro in 2016. Because they were constructed with experimental materials and engineering strategies, these works of modern architecture require specific conservation and maintenance plans.